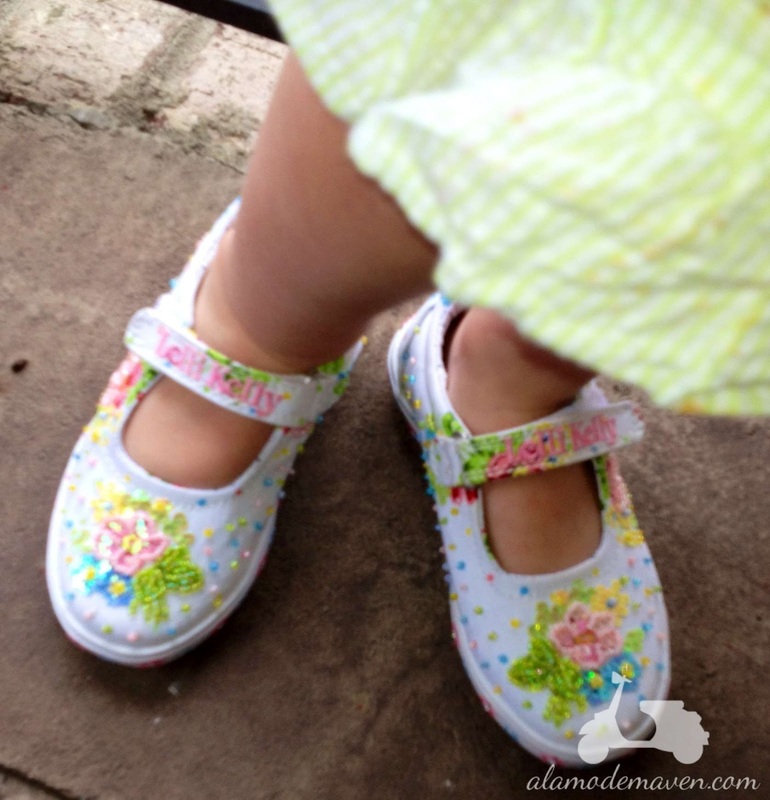 How sweet are these Lelli Kelly Shoes? These are from their zoo collection! KK was excited to wear them to MDO today! Lelli Kelly is a european brand and sometimes pricey for shipping, but if you can find them at a local boutique that helps a lot. I also saw them at Nordstroms as well! for a pretty good price! We scored these little lemon cuties on ebay last week! LOVE lelli kelly! My 6 year old won't wear them anymore but we had several pairs when she was younger. I actually found them at Marshalls a few times!!! Adorable shoes - love the lemon pair! My girls are wearing their lemon dresses today and those would look so cute with them! I have boys but I love those shoes! The shoestore where we get our kid's shoes said that Lelli Kelly's wear really well. My friend even threw her daughter's in the wash and they came out fine. The seersucker shorts are to die for too. Lelli's are my favorite!! We need some new ones, thanks for reminding me. They hold up fantastic (yes, you can wash them--and I have used oxy clean to help and it worked great)...Now, I need to go shoe shopping! A friend of ours who is a little older actually gave us a pair of Lelli Kelly's (I know, nice friend, right?) and we LOVE them! They're so cute and hold up really well :} K is so precious! Oh, this brought back memories! My daughter used to wear those and I LOVED them. So cute. I lover her little seersucker shorts as well. Cute!! I found a pair for my daughter last year at Marshalls of all places! 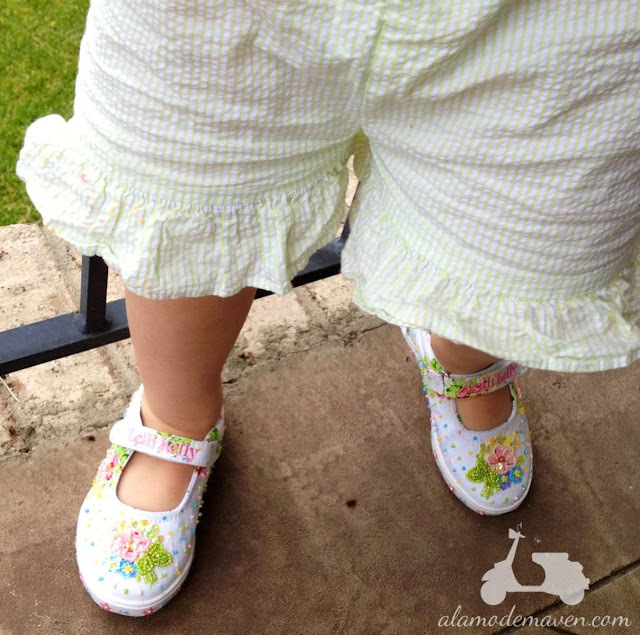 My daughter used to wear the Lelli Kelly shoes and loved them! 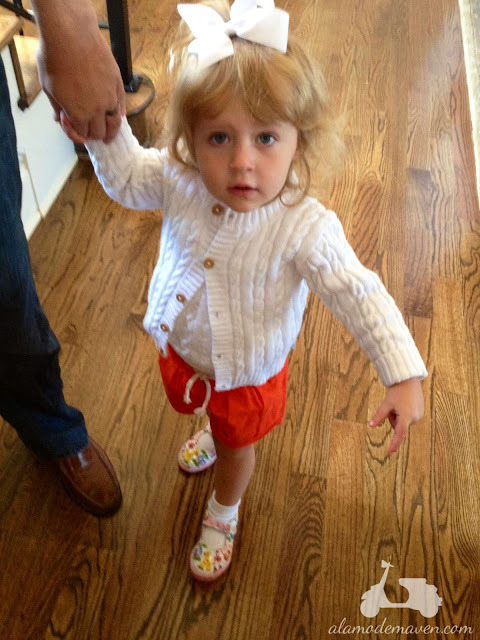 Now we've graduated to the Twinkle Toes :) Your daughter looks adorable! 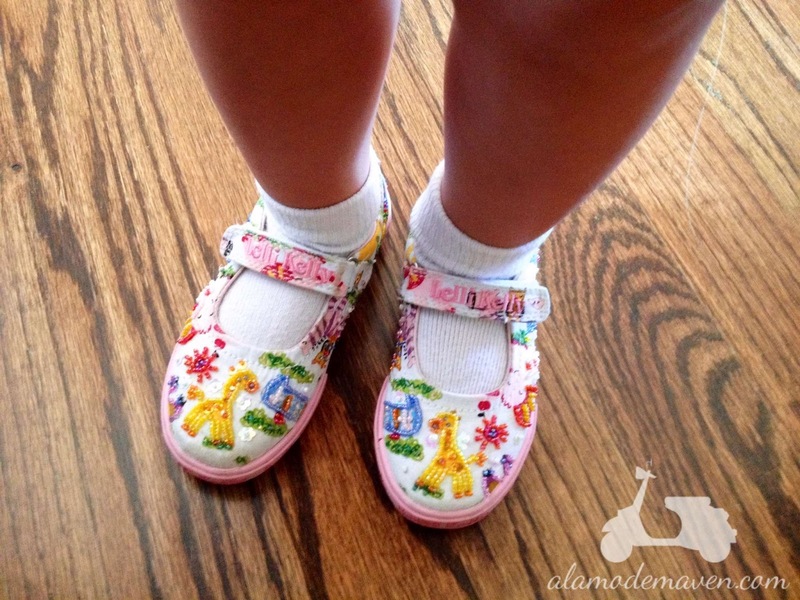 Alexa had a pair of Lelli Kelly last summer and they were so cute! She liked the makeup compact that came with them. :D Zappos sells them too! Those shoes are precious! K's seersucker shorts with the ruffle are adorable, too! She is a chic little girl Shelli! So so cute. We love these shoes! They also wash well! I I always get mine from Nordstrom. Very cute! I had Lelly Kelly shoes as a child! I simply adored them, you can't imagine how much I adored them! Living Room Switcheroo Take Two!